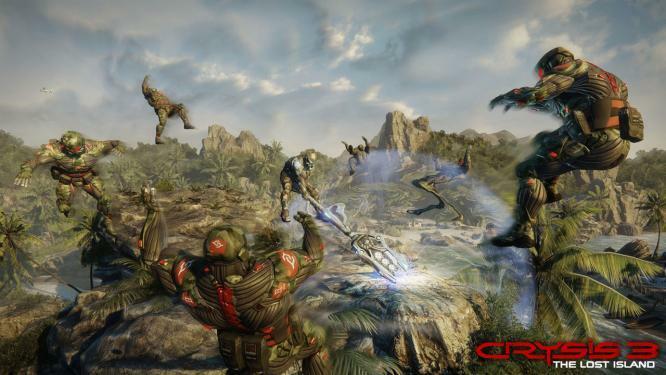 EA will release The Lost Island multiplayer DLC pack for Crysis 3 on 5 June. The content pack will feature four new multiplayer maps, the Frenzy and Possession multiplayer modes, and additional weapons. The developer of the game, Crytek, is bringing the DLC simultaneously to PlayStation 3, Xbox 360 and PC. Crytek CEO, Cevat Yerli, said the Crysis series has always been linked to the unique environments where the battles take place. “By transporting players out of the Liberty Dome and into the Lost Island setting, we’re not only returning to Crysis’ spiritual roots, but also introducing fresh ways to play that provide Crysis 3 fans with genuinely game-changing new tactical options, game modes and weapons,” he said. The setting for The Lost Island pack is a small island in the Philippines located 200 miles from Ling Shan. Following the discovery of a mysterious alien presence on the island, rebel forces have been dispatched to investigate the finding before the enemy CELL team has the chance to obtain it. Crysis 3: The Lost Island will retail for $23.95 on PlayStation 3 and PC, and 1200 Microsoft points on Xbox 360.